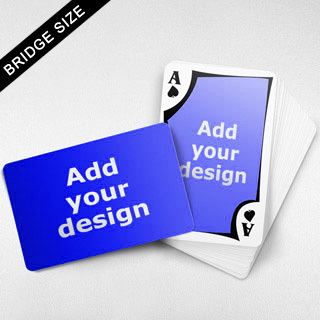 This deck of bridge sized playing cards features not only a full front for your image, but also a framed, wide-angle front. The framing is perfect for your company's logo or mission statement, adding a touch of refinement. Give these to new clients to gain rapport and maintain top-of-mind awareness.